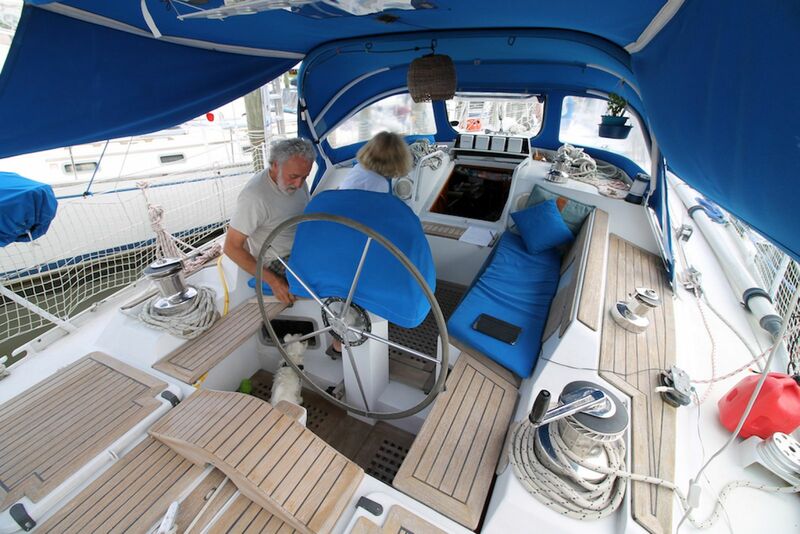 Ganesh is the ultimate long range cruising yacht, built by Garcia Yachting, designed by Philippe Harle with interiors by Andre Rameau. 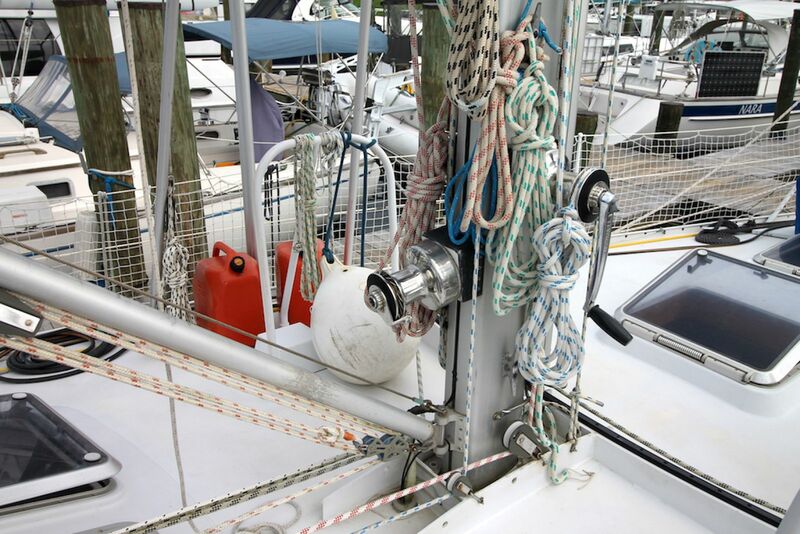 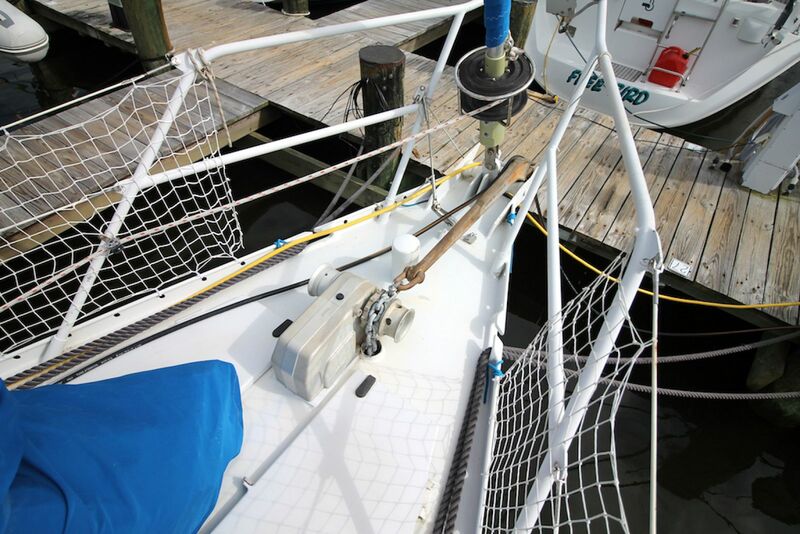 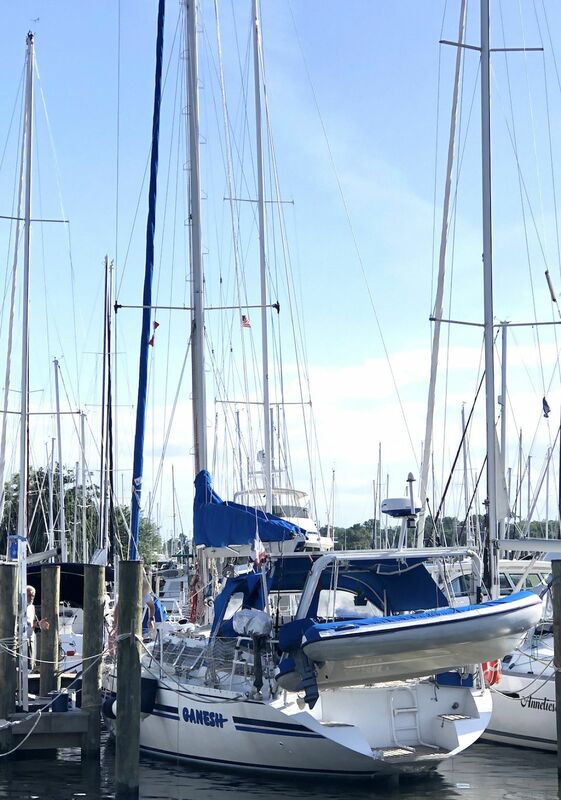 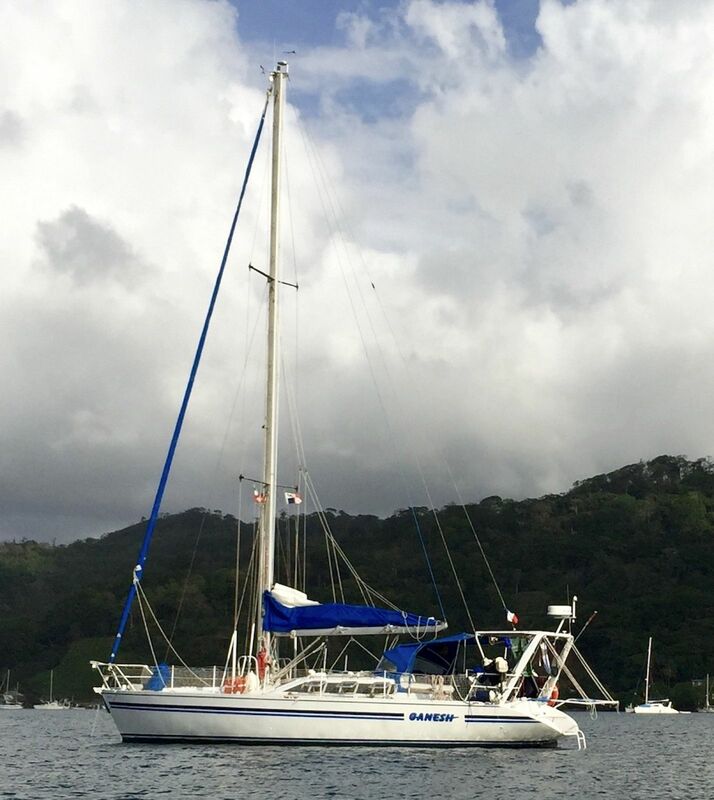 The Passoa 47 is a centerboard boat, so she only draws a little over 3' to allow unfettered access to the tightest anchorages. 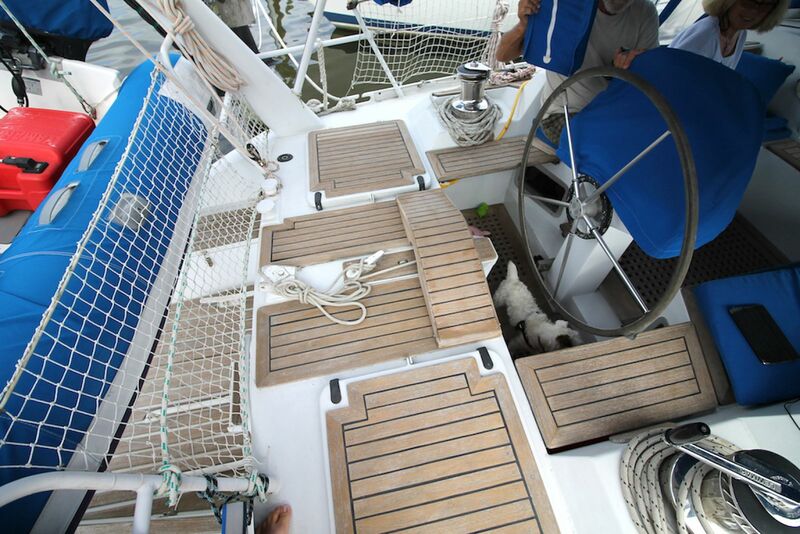 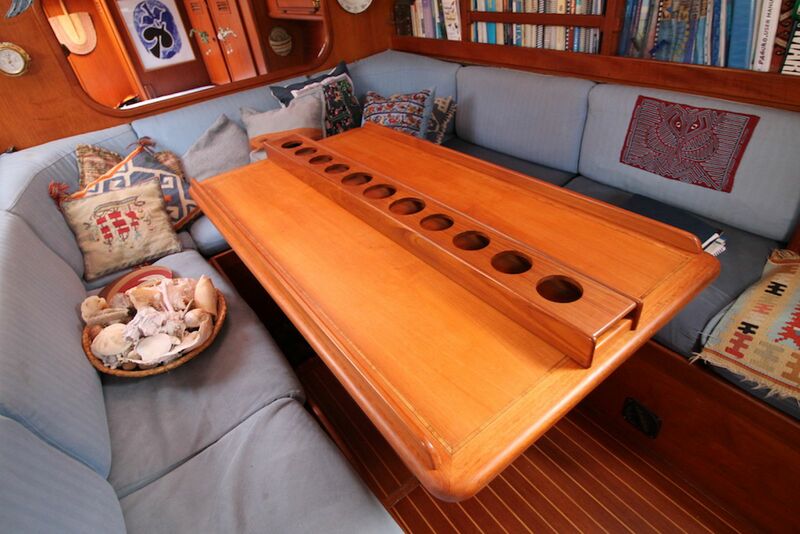 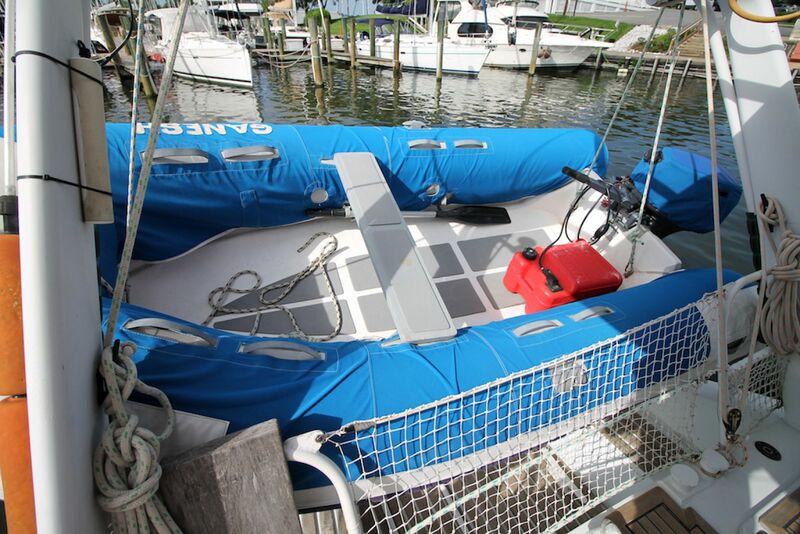 She also has a daggerboard aft to improve downwind performance. 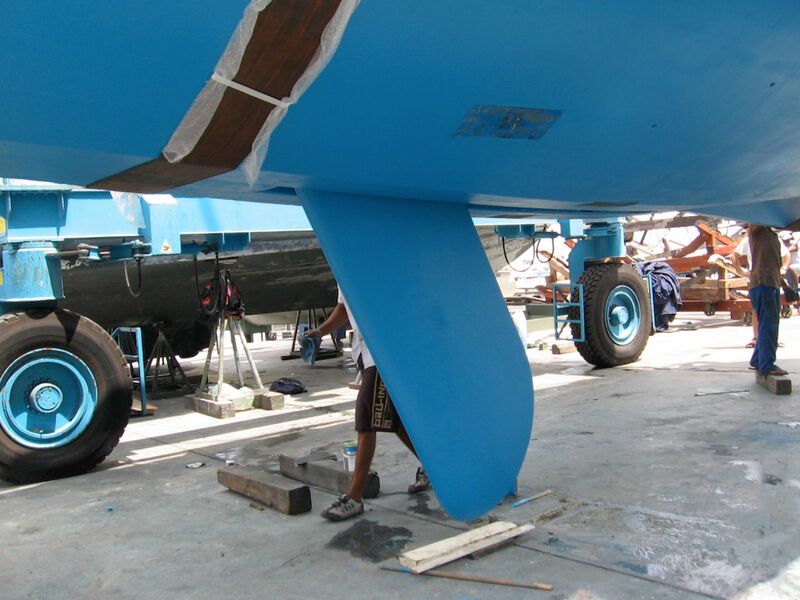 Her tough aluminum hull is extra thick beneath the waterline, 10mm in thickness. 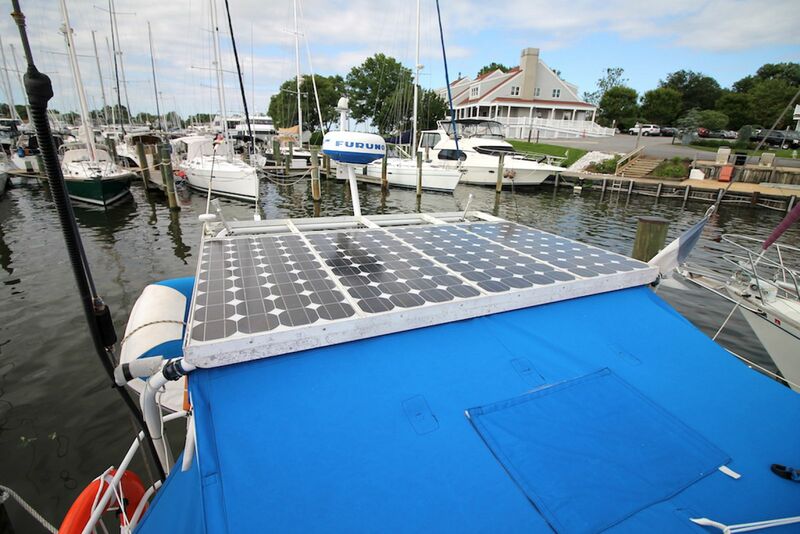 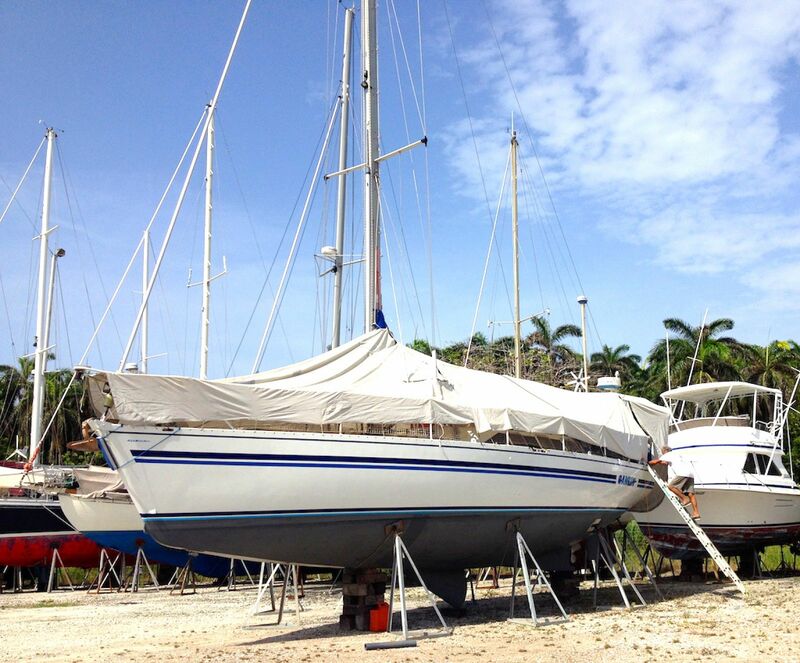 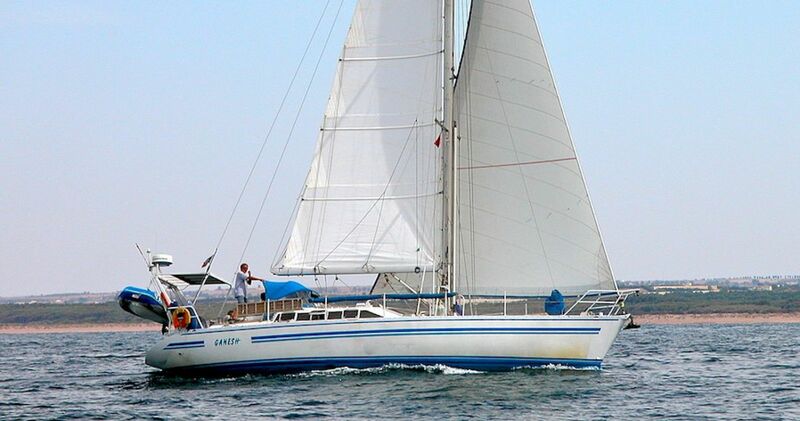 Thanks to her integral centerboard design she is able to be run up on the beach if need be, or wait out a low tide. 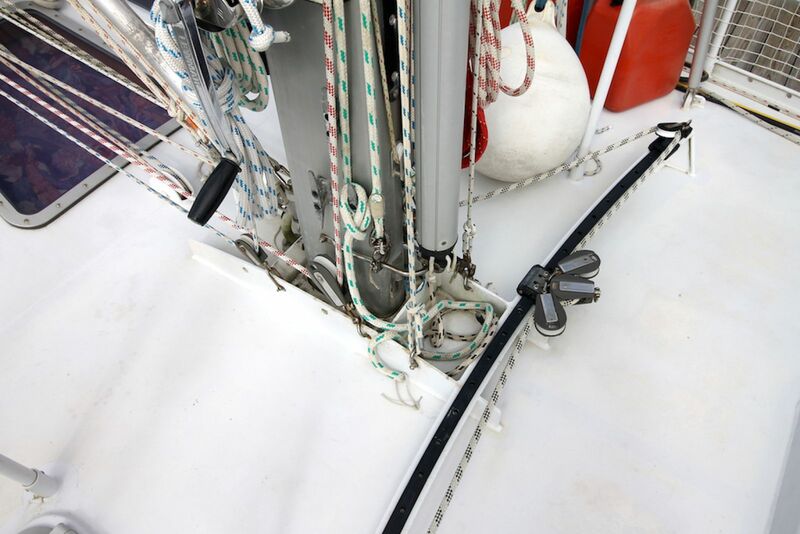 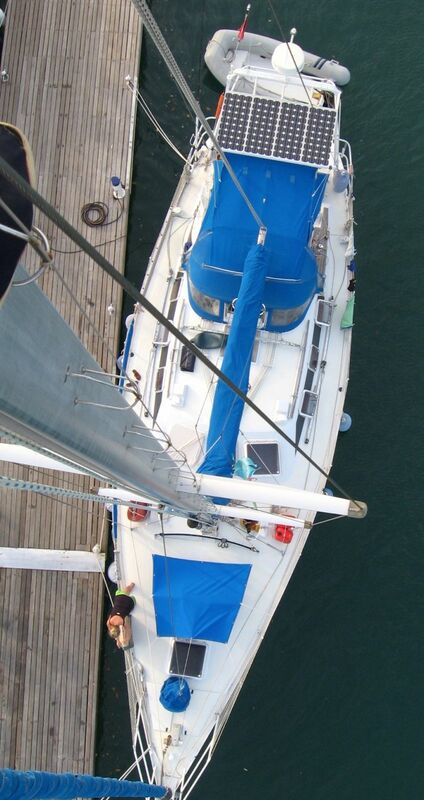 The fixed internal ballast allows for a low center of gravity, and she is self righting. 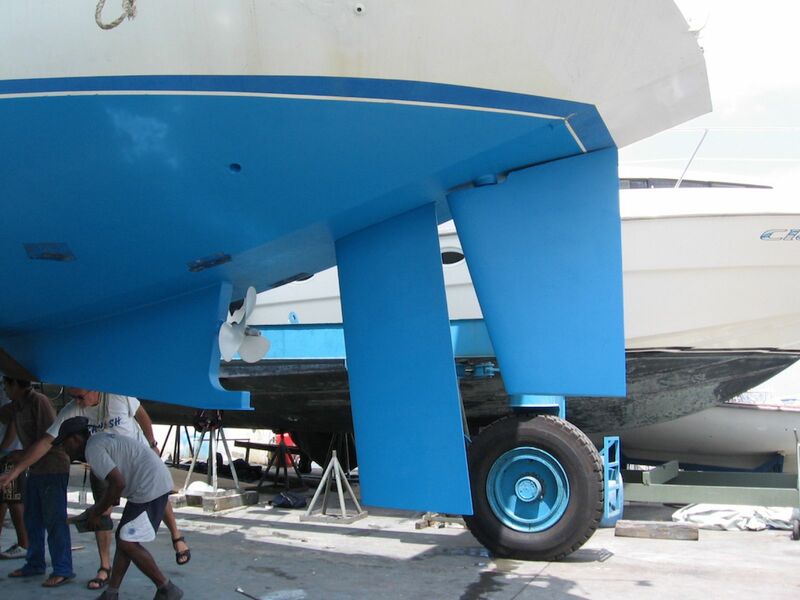 Tankage is integral with the boats structure, and also acts as a double hull incase of bottom damage from rocks or reefs. 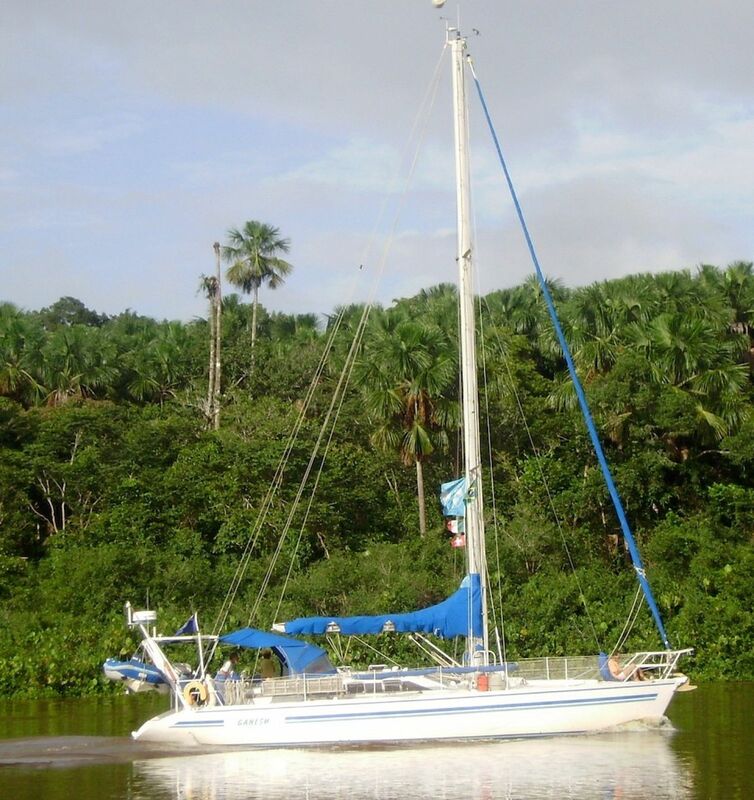 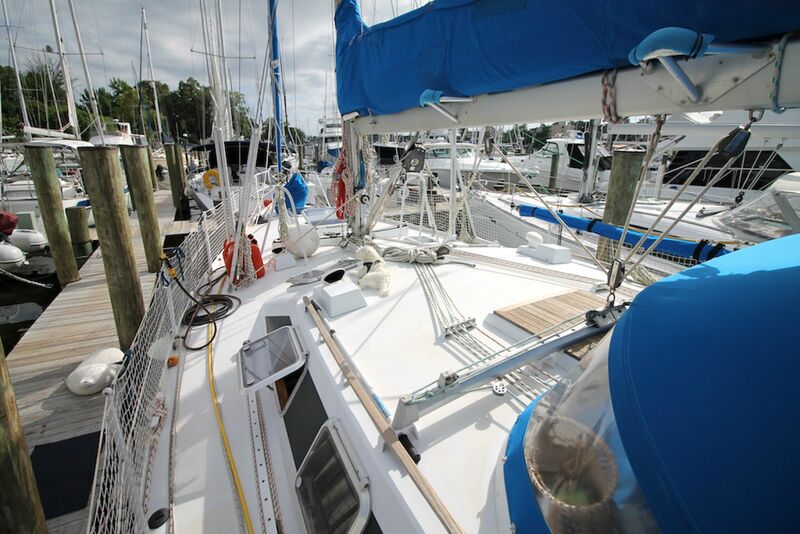 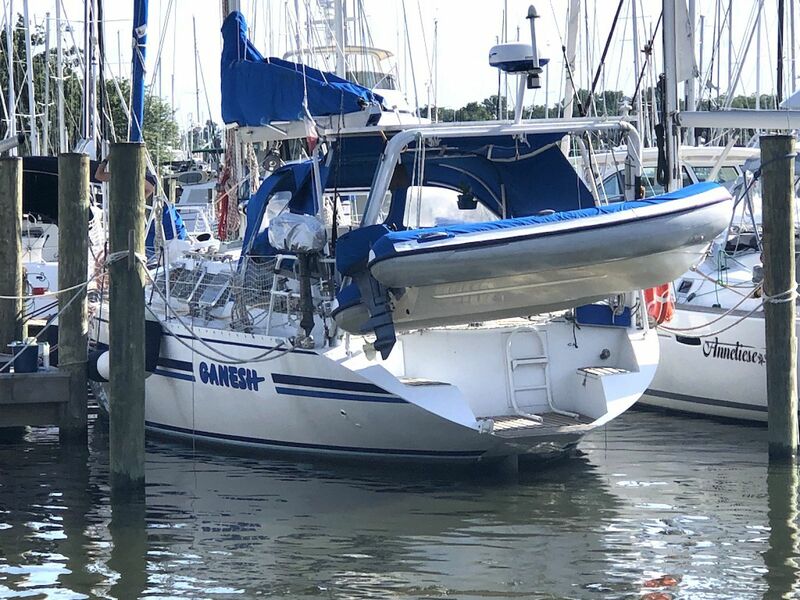 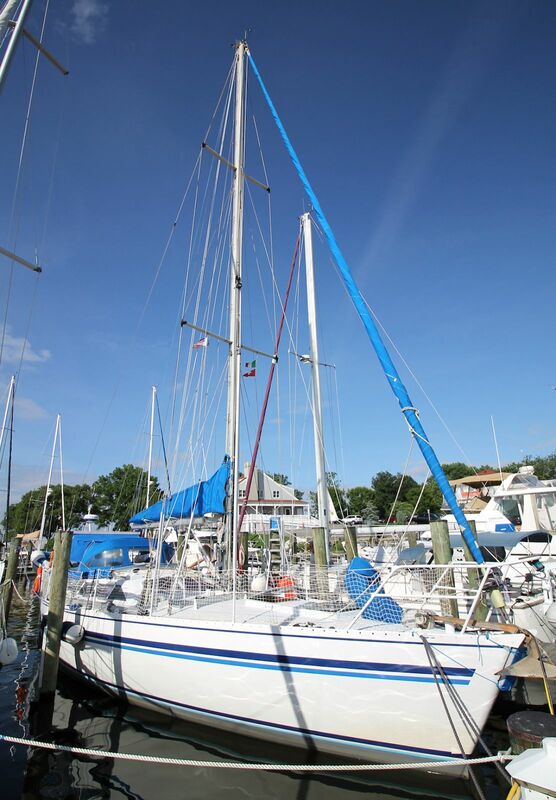 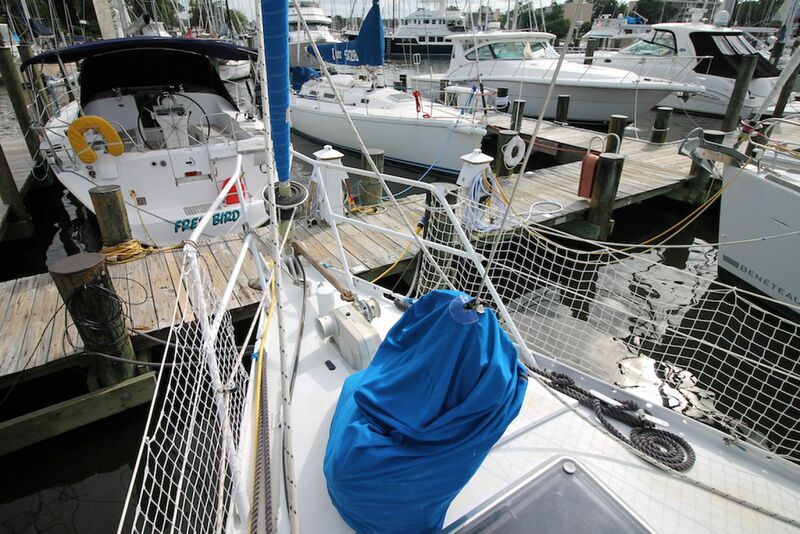 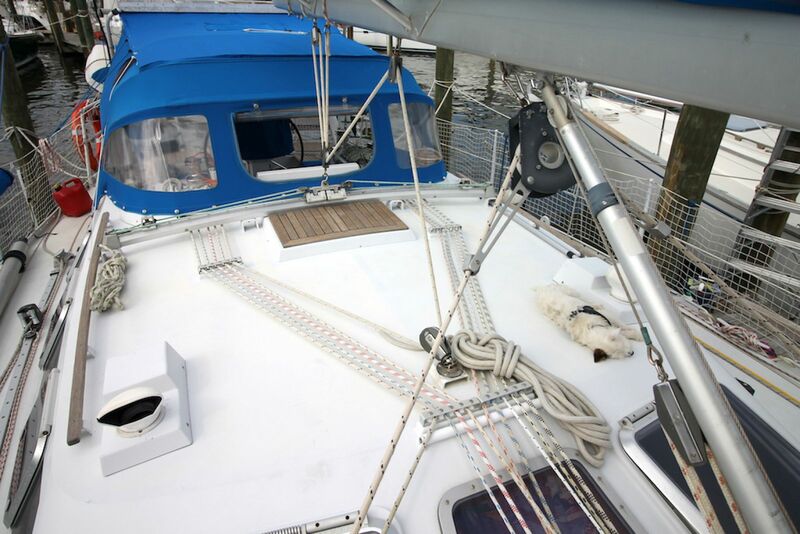 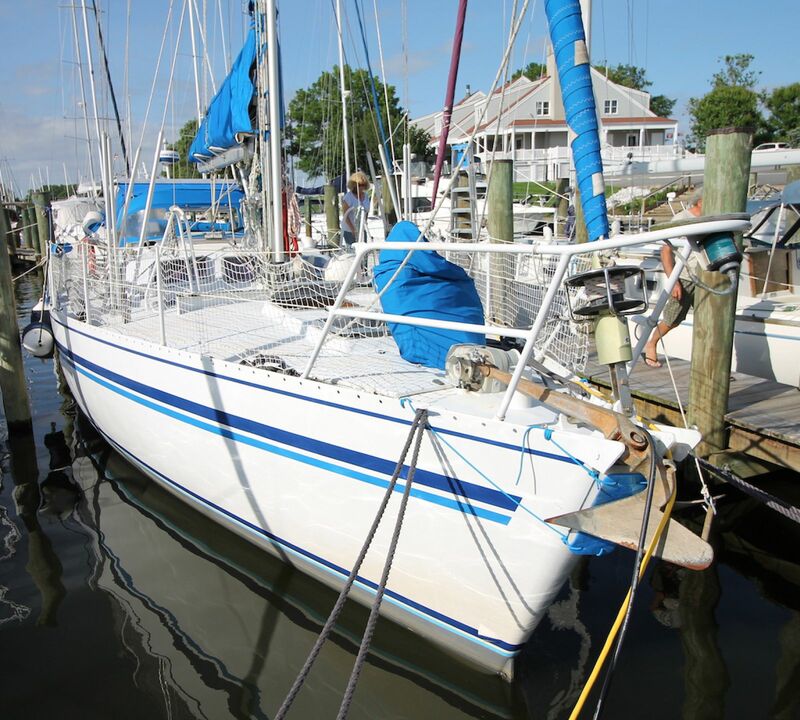 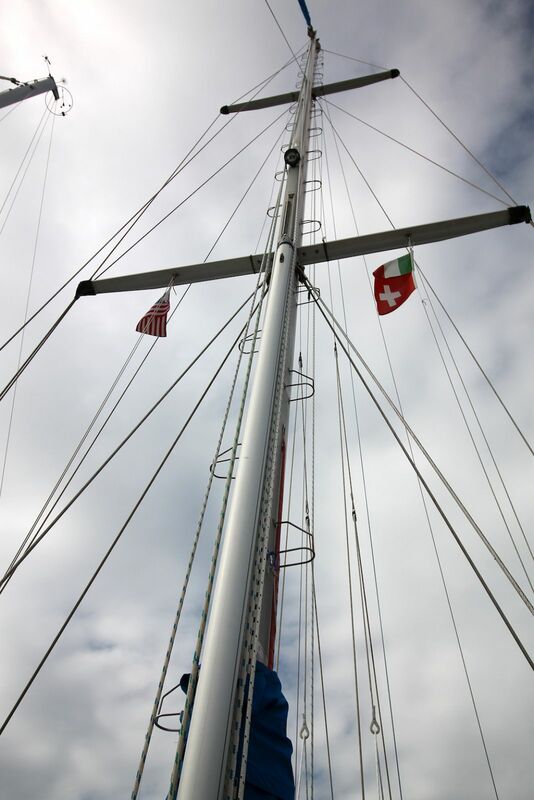 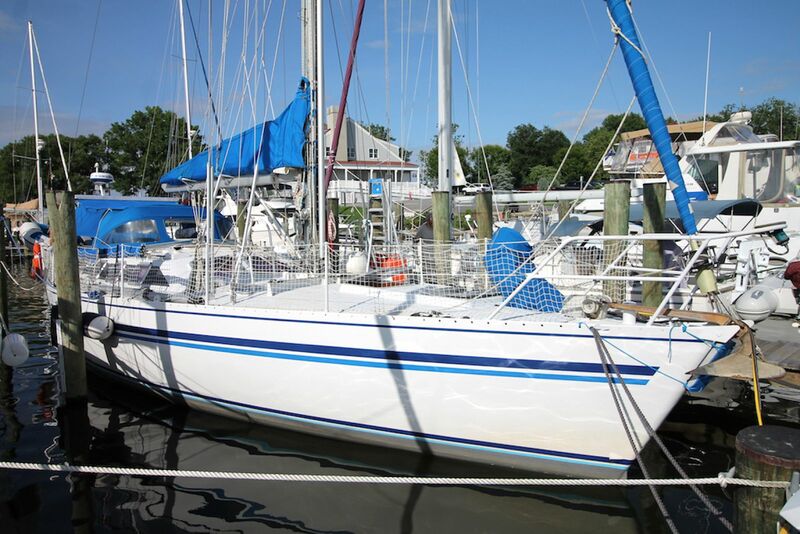 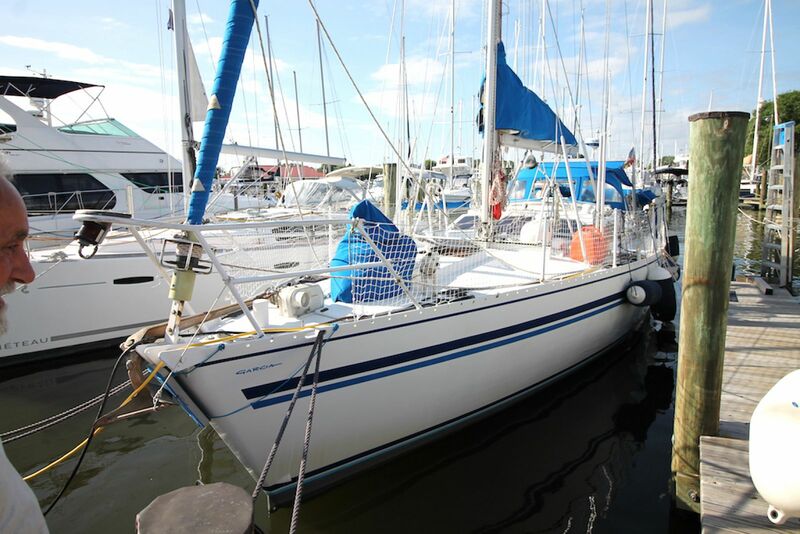 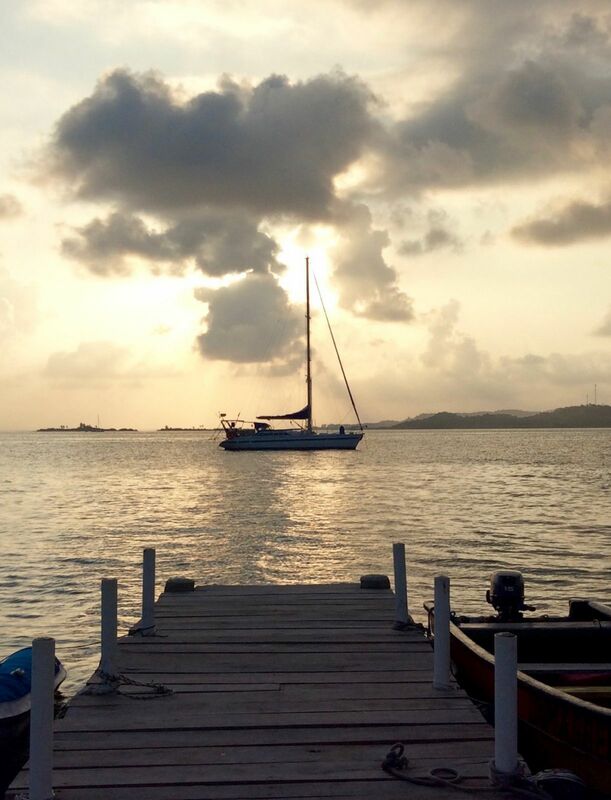 Ganesh has successfully completed a circumnavigation, and her current (2nd) owners have taken her around both coasts of the Atlantic, from Europe, to South America, and up the US East Coast. 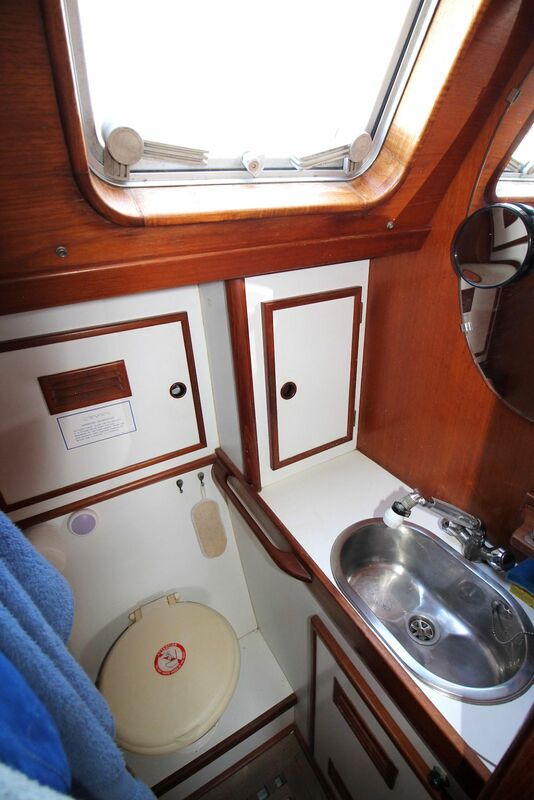 She is only used seasonally, 3-4 months a year, and spends her off seasons on the hard. 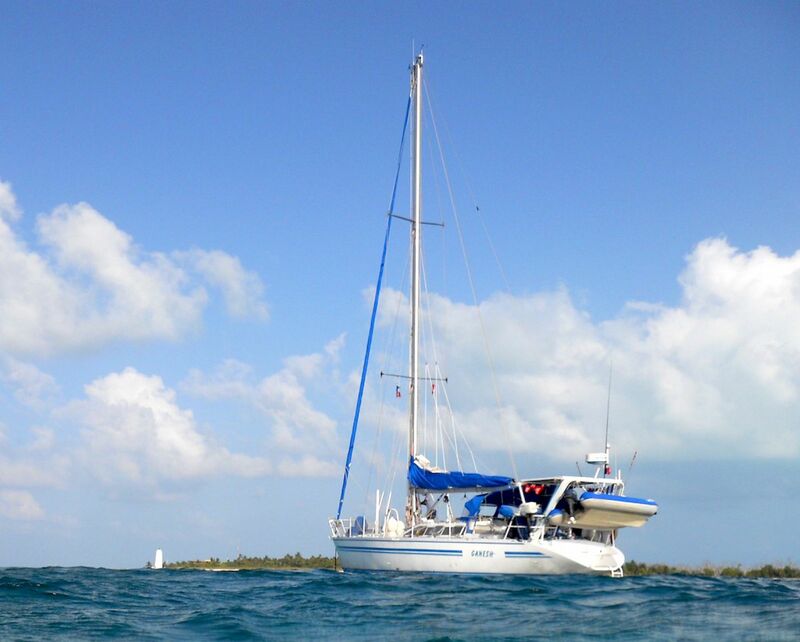 If you're looking for the ultimate in extended offshore cruising make sure to check out Ganesh. 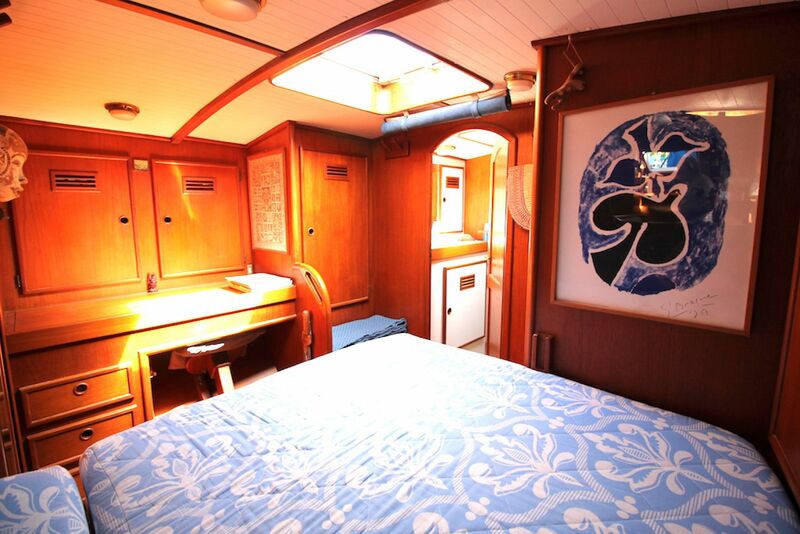 Ganesh is a full three cabin boat. 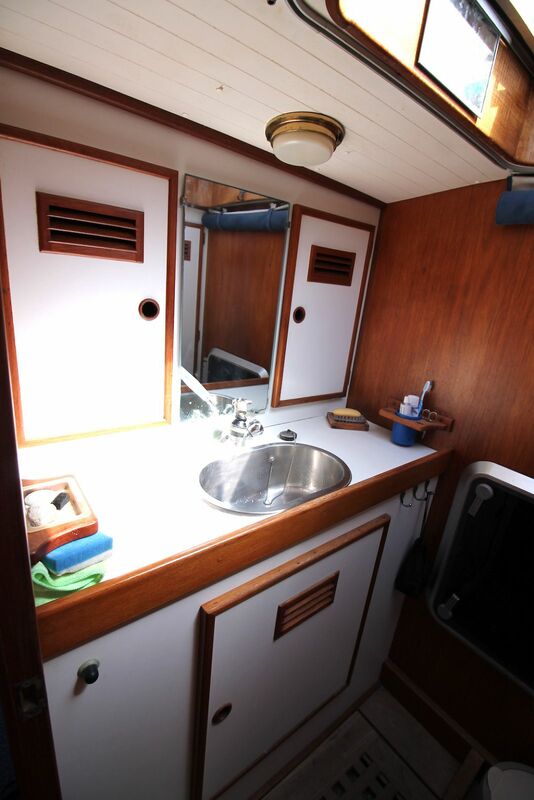 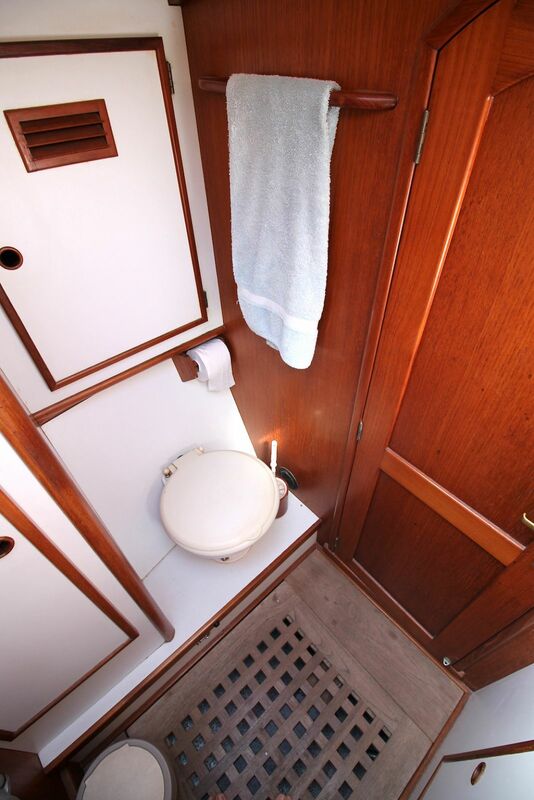 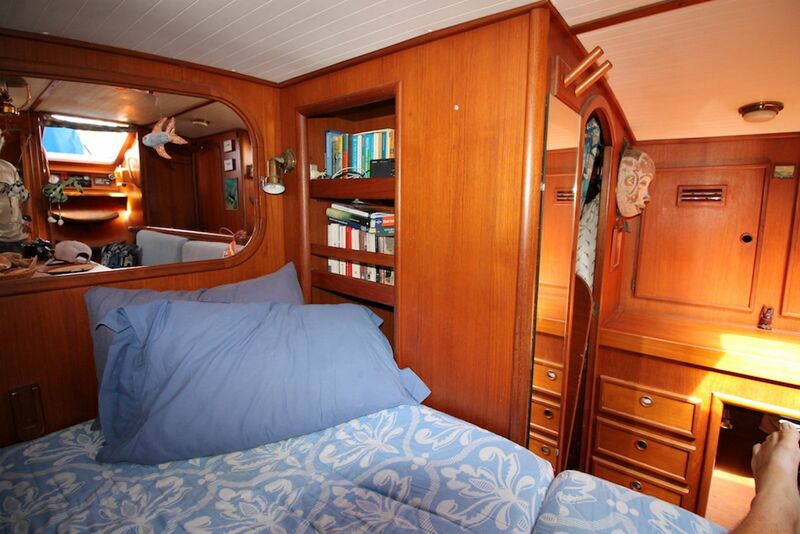 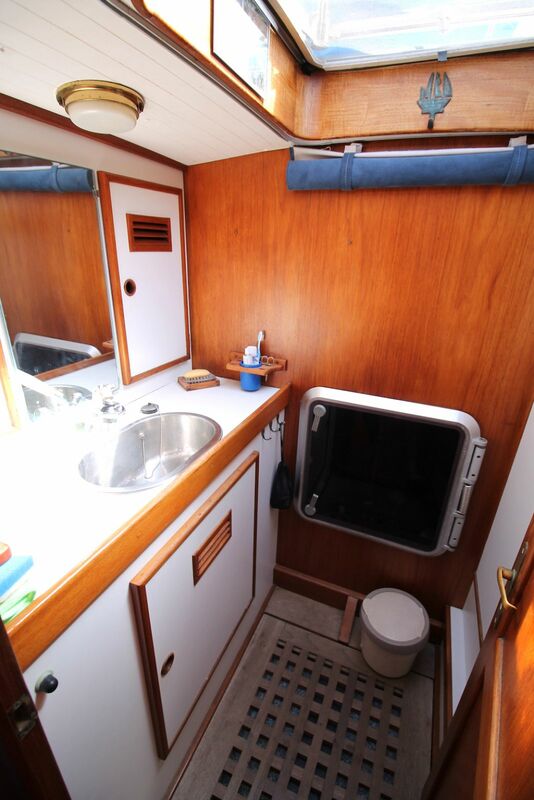 Forward is the master cabin with pullman berth on starboard, and a large vanity to port. 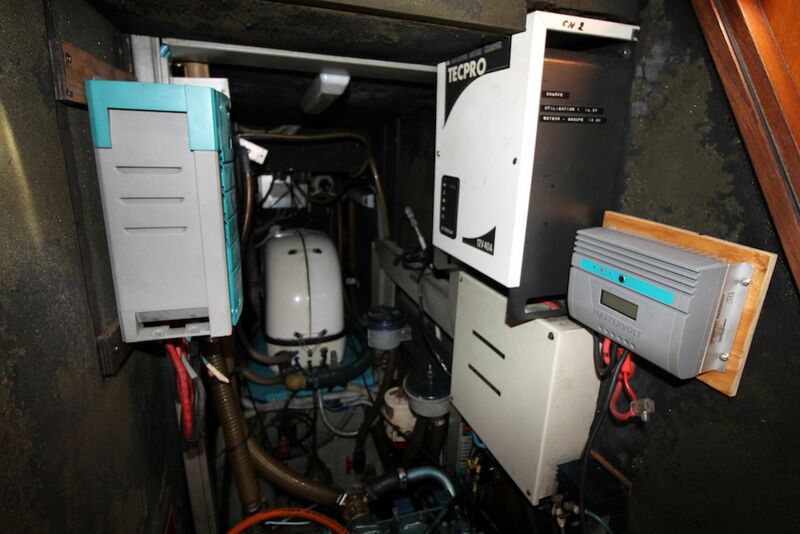 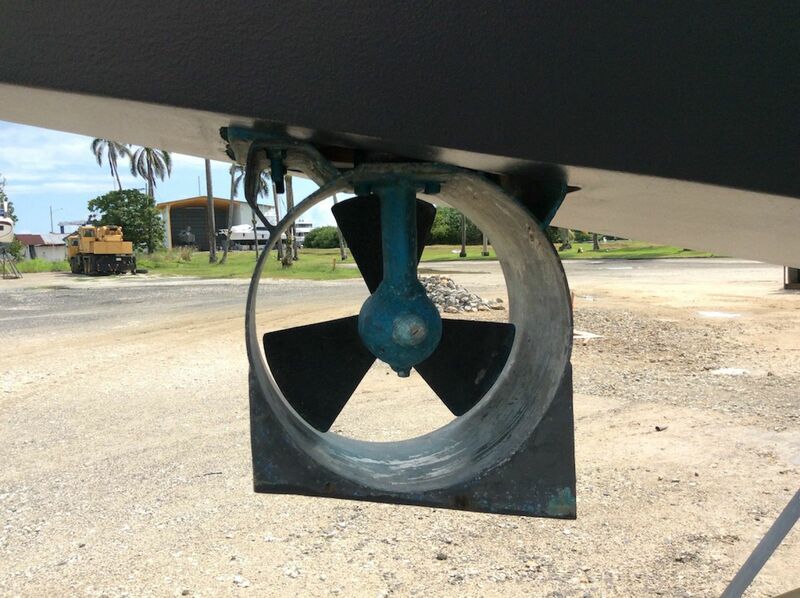 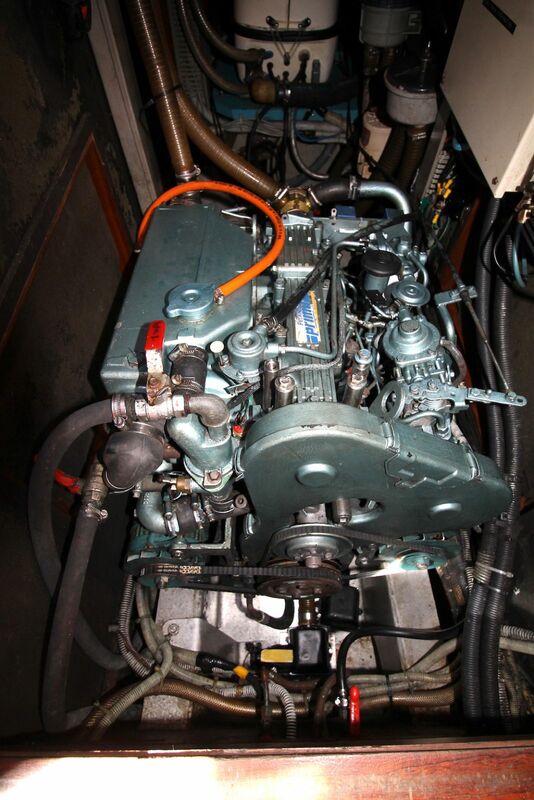 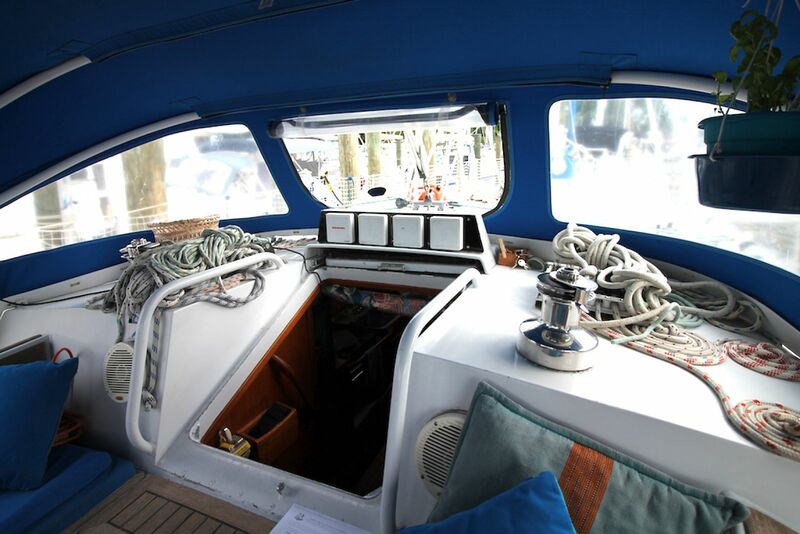 In forepeak is the master head with watertight bulkhead forward, the bow thruster is accessed via a hatch in this bulkhead. 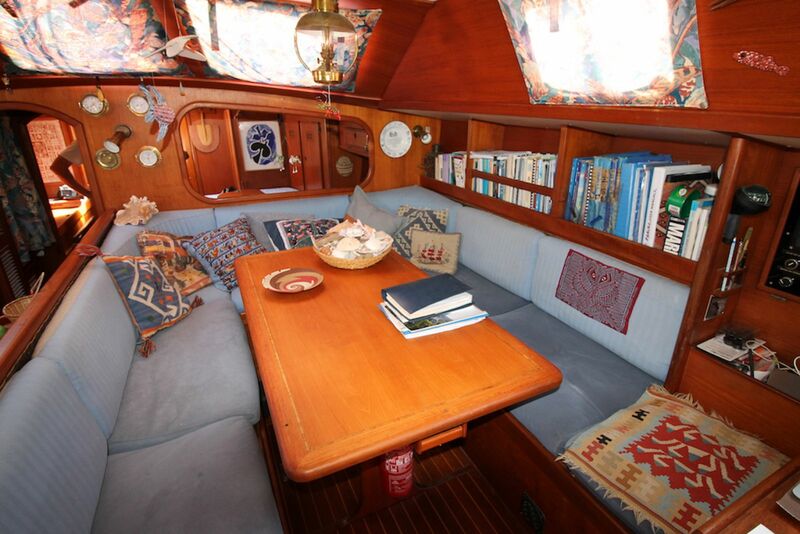 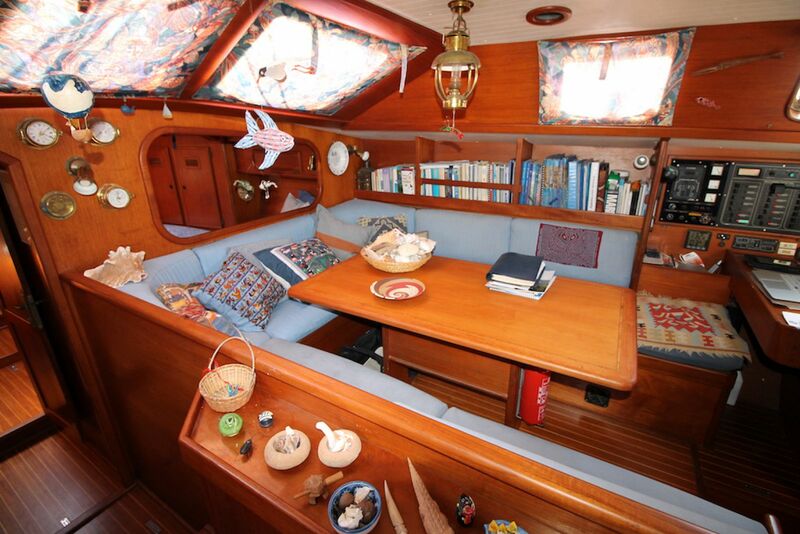 Going aft you pass through the galley on port, with a spacious salon to starboard, fit to entertain all of your friends in the anchorage. 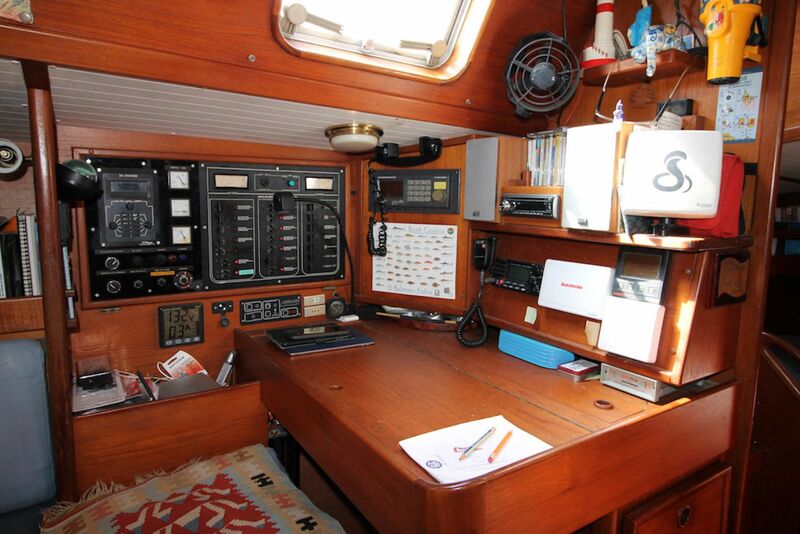 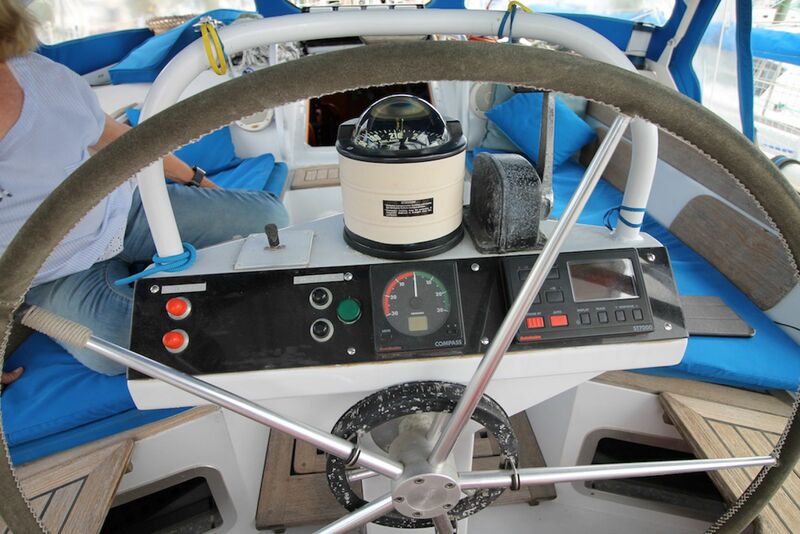 The nav station is facing aft on starboard. 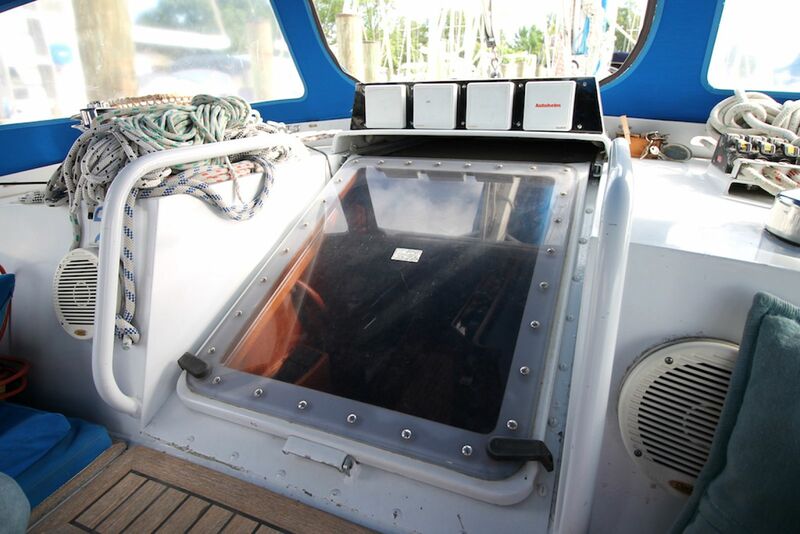 To port is the aft head. 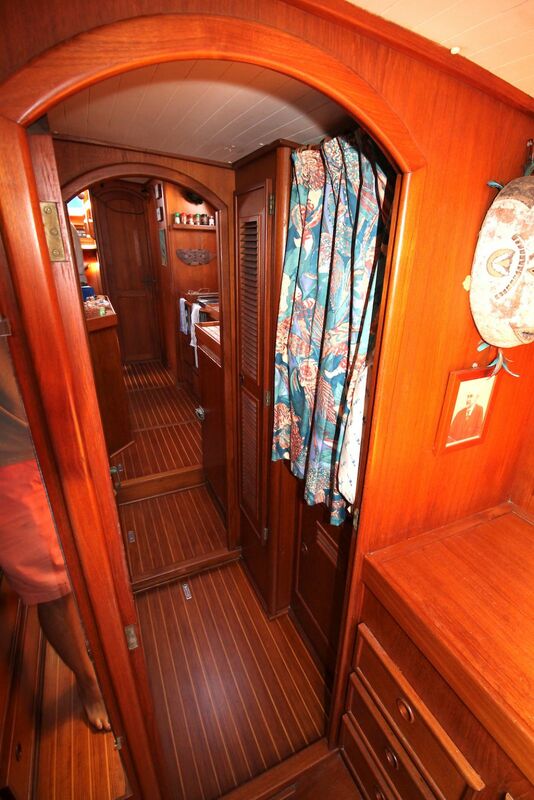 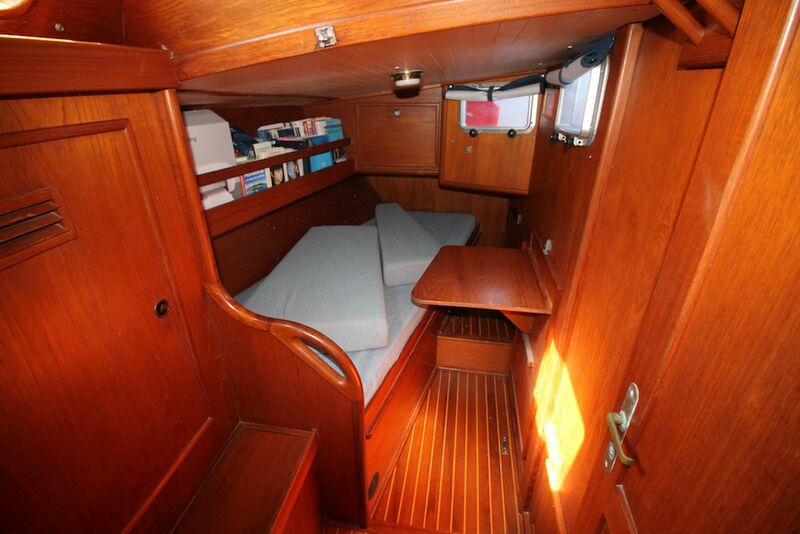 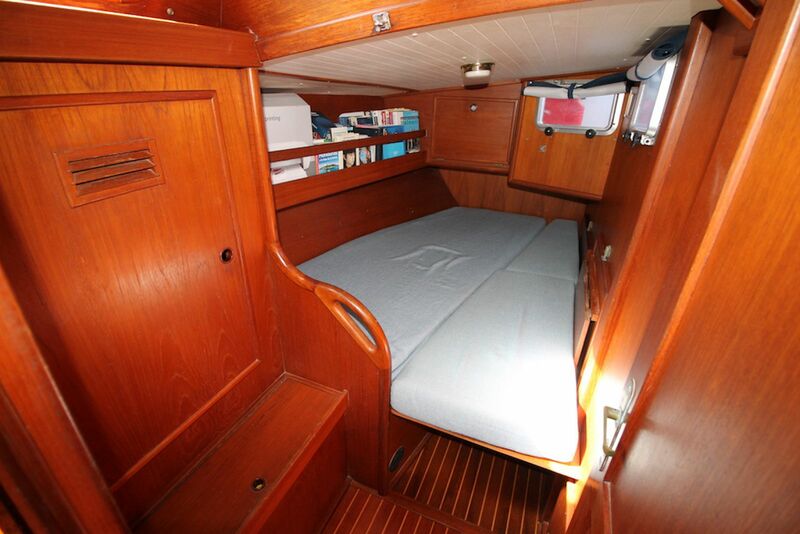 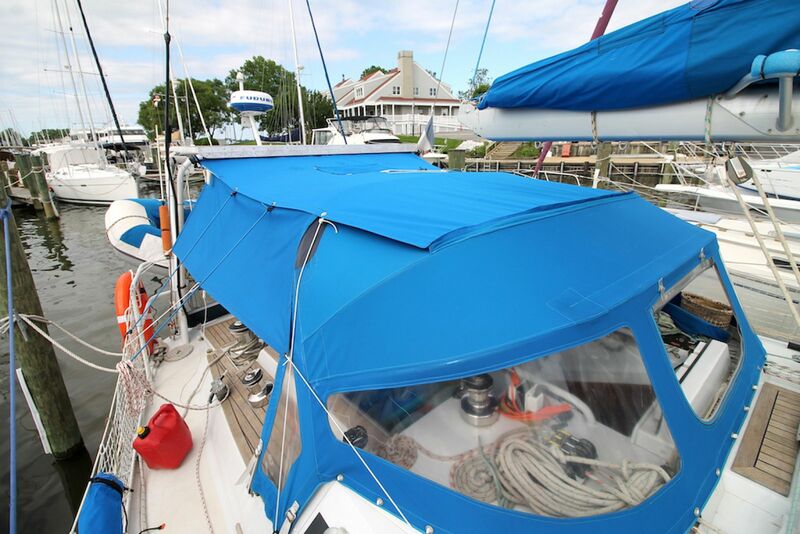 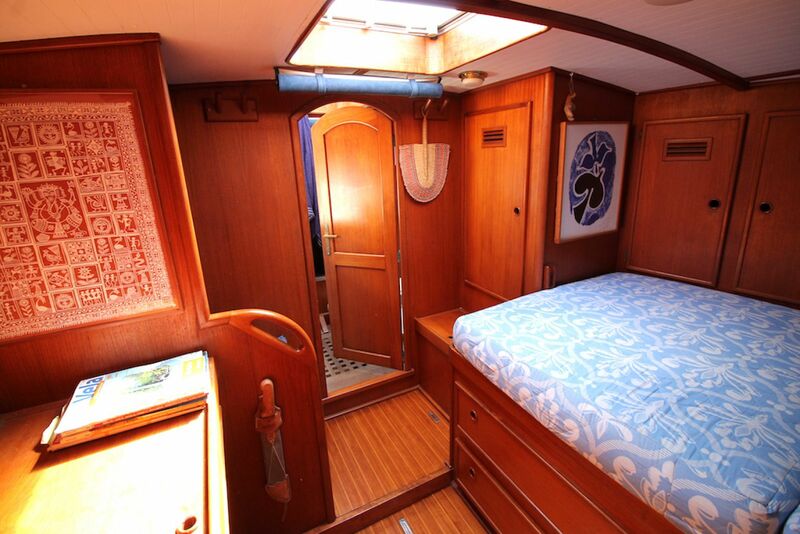 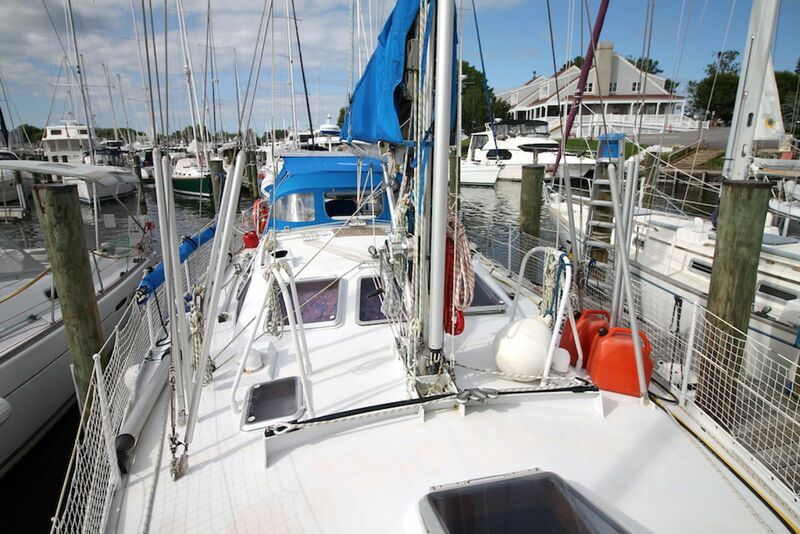 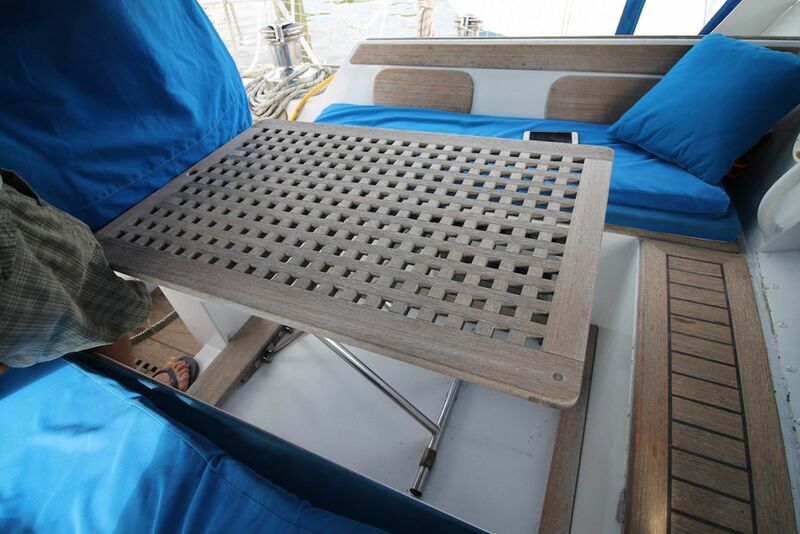 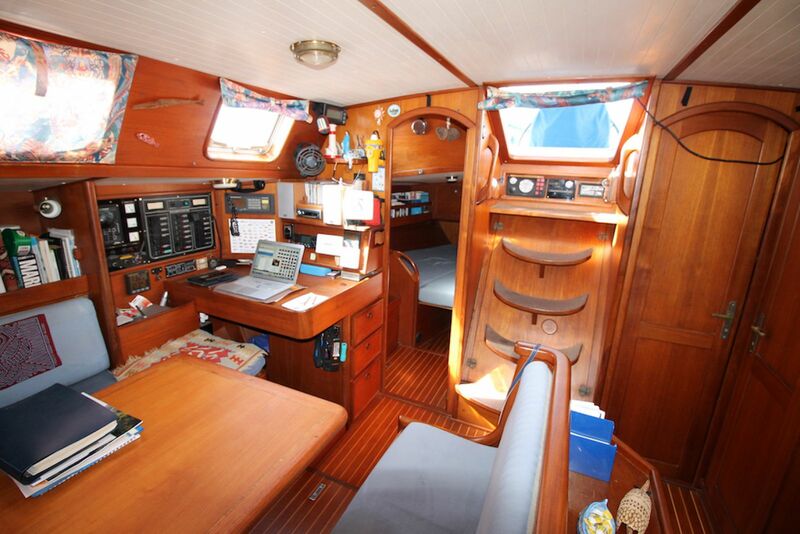 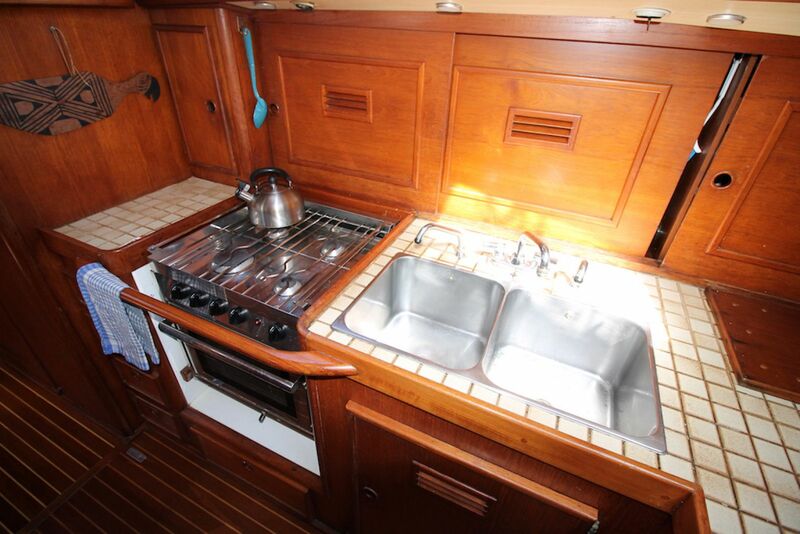 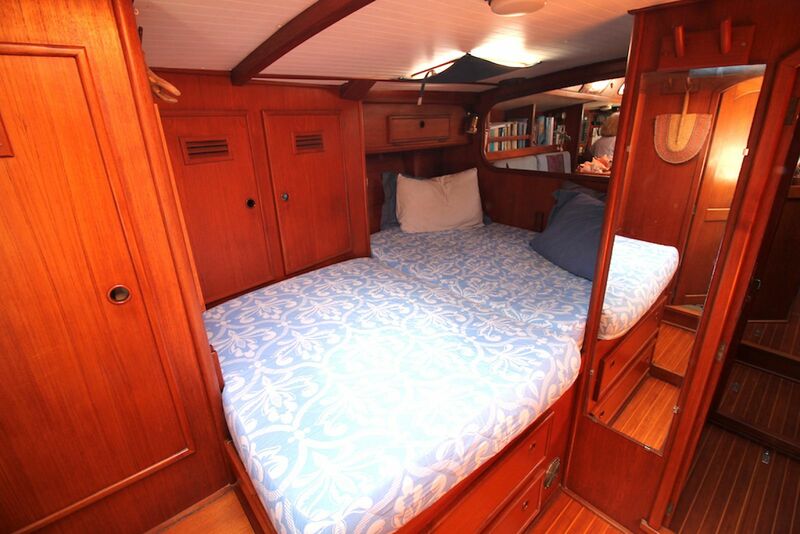 Aft of the companionway are duplicate cabins with convertible bunks for single or double sized use.